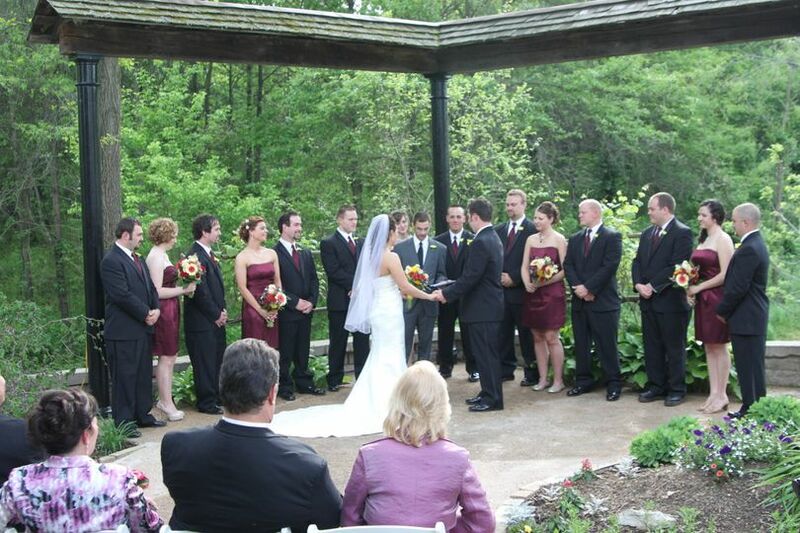 There are many choices of outdoor wedding venue sites in St. Louis. 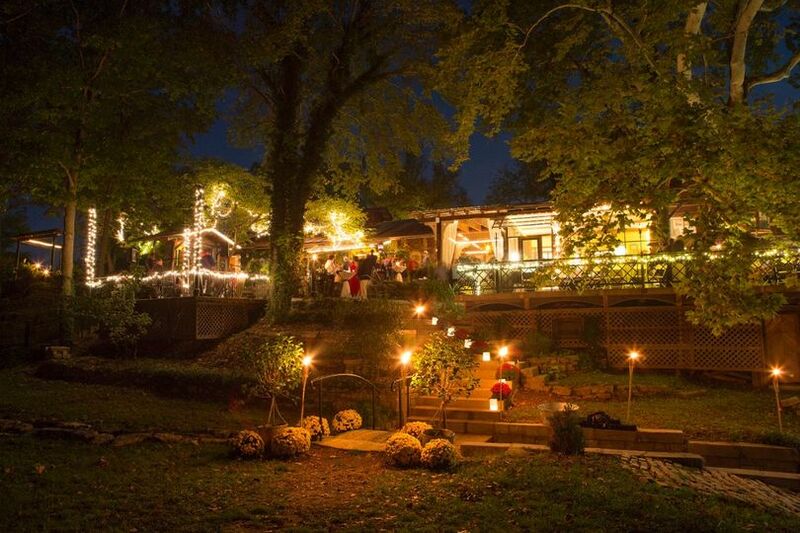 Where most offer an array of glitz and glitter The Lalumondiere Mill & Rivergardens, a B&B Homestay, offers you its' eclectic charm, unparalleled backdrop, the beauty of nature and a sense of being in your own backyard. Add the ambiance of candles, torches, twinkle lights and linens, music and laughter, and The Lalumondiere glows with its own brand of beauty........at a more affordable cost. 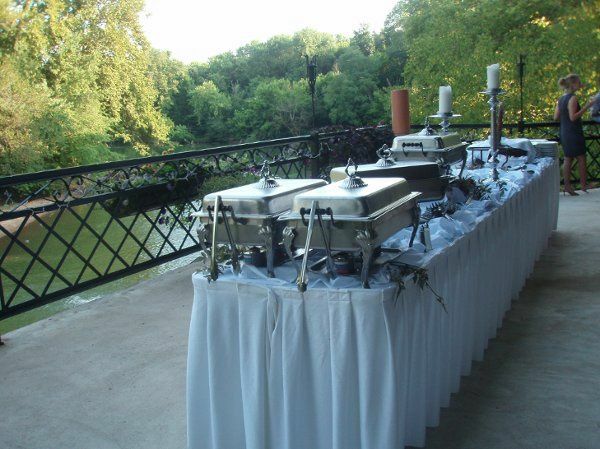 The various patios, overlooking a beautiful dam and waterfall, can accommodate 150 max. 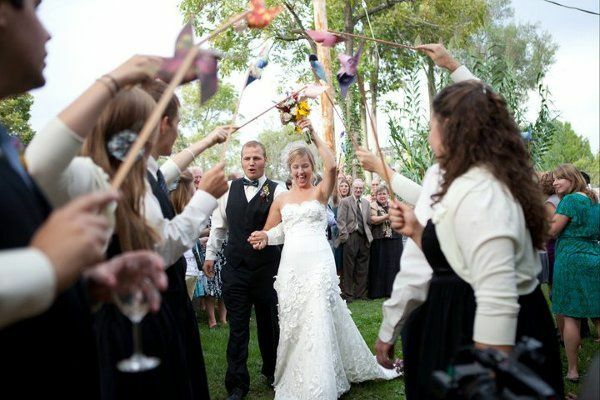 Truly a unique and one-of-a-kind setting for your wedding day.. The cabana provides one of a variety of spaces for guests to gather and visit. And Jeannie are wonderful to work with!! Thank you both!! We loved our wedding at this venue. 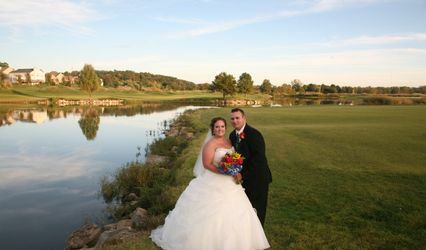 We had more then one guest tell us this was the best venue they had ever been at for a wedding. Jeannie and Jim were as lovely as all the other reviews stated. My parents were nervous about my choice of the outdoor venue but after the wedding they agreed it was the perfect choice. Thank you! My husband and I had dreamed of having a fantasy inspired outdoor wedding and our experience here was everything we had wished for and more! The Lalumondiere’s are some of the nicest people we have ever met and their hospitality really makes them feel like family. Their mill home is so beautiful and being there feels like a fairy tale. I also recommend hiring their coordinator, Kara, who went above and beyond to make sure everything went according to plan on our wedding day! 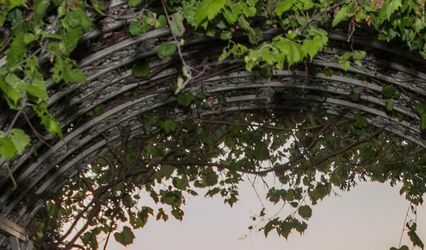 There are many places to choose where to have your reception and ceremony in the St. Louis area but none are as unique and picturesque as The Lalumondiere Mill & Rivergardens. 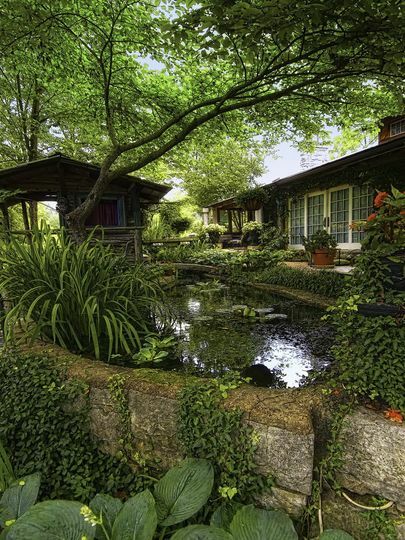 As you enter onto the property you are forced quickly to make tough decisions of where to let your eyes lead you! I am always quickly drawn to the sounds of the Big River that is flowing by. 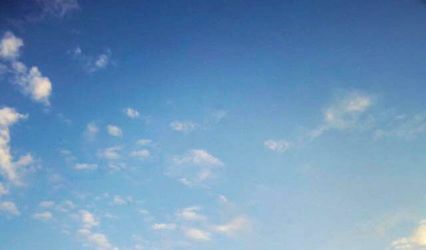 You can take in the view from anywhere on the grounds. 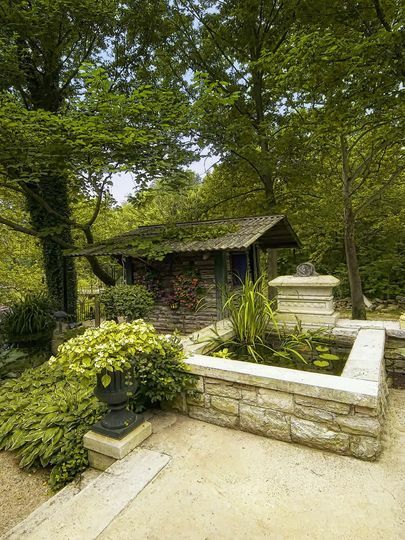 Others will choose to walk around and check out all of the beautiful gardens and stonework. Just make sure that at some point you get your pictures taken on the historic one lane bridge that goes over the river! 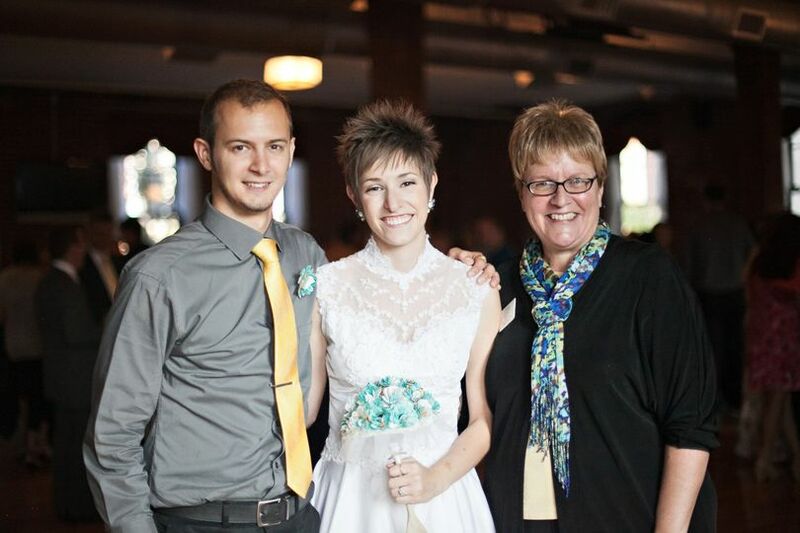 Jim and Jeannie Lalumondiere have opened up there home to share their years of hard work(which still continues daily) to provide the perfect backdrop for your special occasion. 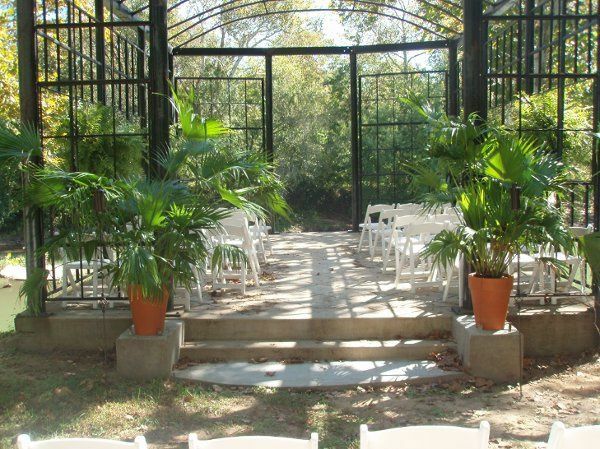 This is a one of a kind venue that will have everyone at your event talking! 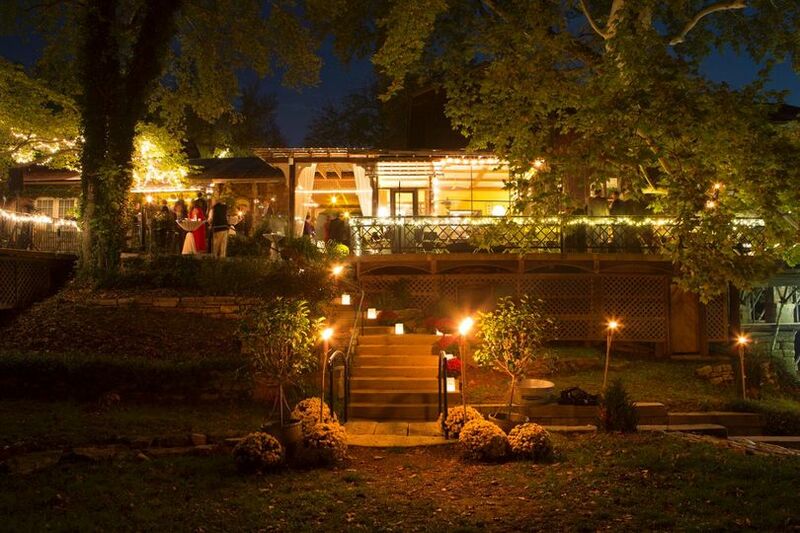 I would like to highly recommend the Lalumondiere to St. Louis area couples looking for a unique outdoor venue for their wedding. Jeannie and Jim have developed something really special and it was a highlight of my year to photograph a wedding at their space. I&apos;ve been to a lot of venues in the area but I can confidently say there is nothing quite like the mill out there. From my dealings with the owners, it is clear they really care about their clients and providing an unforgettable venue for their events.